Although the Sandstone Trail crosses rural Cheshire, there are several interesting and attractive towns and villages along the way. 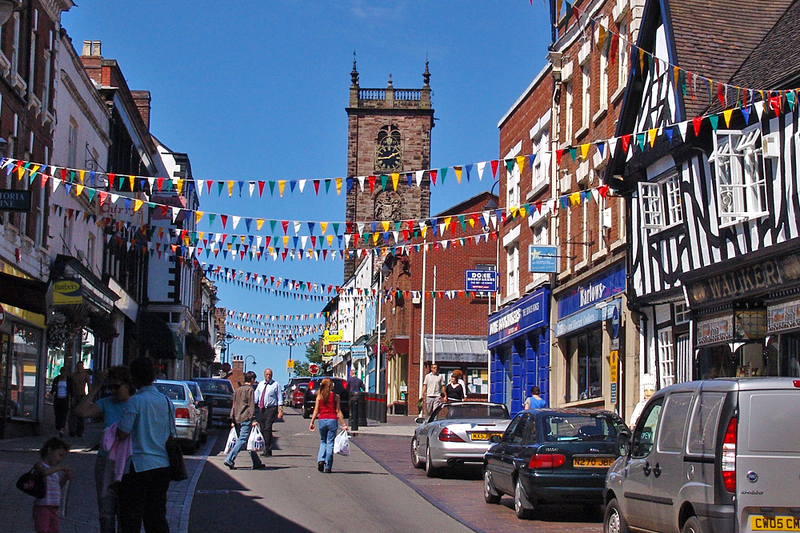 Frodsham is a vibrant medieval market town in north Cheshire at the northern end of the Sandstone Trail. Founded by the Saxons and mentioned in the Domesday Book, the town occupies an ancient site at the foot of Frodsham Hill where the River Weaver and the Manchester Ship Canal meet the broad Mersey Estuary. Frodsham is 9 miles north-east of Chester and easily reached by road, rail and air. The town lies just off Junction 12 of the M56, has its own railway station on the Chester-Manchester line, and is only a short drive away from Liverpool John Lennon and Manchester airports. Cafes: Cottage Teashop, Main Street; Lunchbox, Church Street; Mia’s Coffee House, Eddisbury Square, off Church Street. Toilets: In main car park off Main Street. Trail on the edge of Delamere Forest. 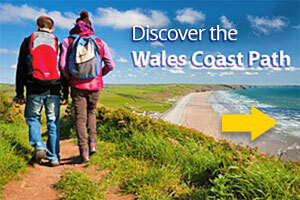 Less than 8 miles north-east of Chester, it’s easily reached by road and rail. Mouldsworth is on the B5393 between Ashton and Manley, and there are regular train services from Mouldsworth Station to Chester and Manchester. Mouldsworth Motor Museum is nearby. Frodsham-Delamere road and the well-known ‘switchback’ road through Delamere Forest. Kelsall is a large, straggling village clinging to the western slopes of the sandstone ridge 10 kilometres/6 miles from Chester. Small fruit farms, market gardens and plant nurseries shelter below the hillside. Now bypassed, this quiet and attractive village has a medical centre, combined pharmacy and specialist off licence, several other shops and pubs. Tarporley grew up on the old London-Chester coach road and is one of the largest and most prosperous villages in rural central Cheshire. 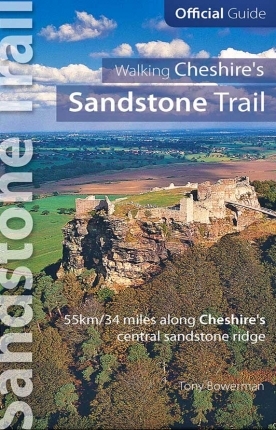 It is close to the halfway point on the Sandstone Trail and has excellent facilities including numerous shops, pubs and hotels, restaurants, cafes, banks and a petrol station, as well as clothing, craft, antique, chocolate and other specialist shops. Public toilets: North end of the High Street, opposite the NatWest bank. market and nearby Shropshire Union Canal. Less than 1 1/4 miles from the Sandstone Trail, it is easily reached via the canal towpath. Small shop, cafe and pub. Public toilets: Toilets for customers at the Beeston Castle Hotel. Higher Burwardsley is a pretty rural hamlet high on the western slopes of Cheshire’s wooded central ridge, close to the Sandstone Trail. The nearby Cheshire Workshops is a popular day trippers’ destination. Now by-passed, the quiet residential village of No Man’s Heath has an attractive pub but few other amenities. Grindley Brook is a small roadside settlement that developed originally around the junction of the Llangollen Canal, the now disused railway, and the old turnpike road – now the A49. Facilities include the Lockside Stores, petrol station shop, a pub and cafe. Queen Anne church of Saint Alkmund’s. Whitchurch is also famous for its clocks. 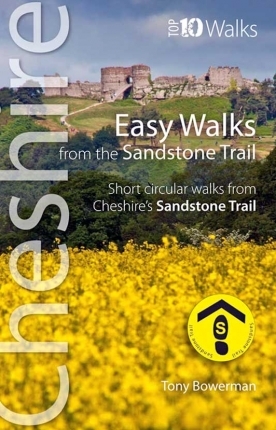 Frodsham, Bear’s Paw Frodsham, Helter Skelter Frodsham, Overton, Ring o’ Bells Overton, Middle Walk, Overton Hill, Ladies Walk, Beacon Hill, Jacobs Ladder, Dunsdale Hollow, Baker’s Dozen steps, Abrahams Leap, Woodhouses, Woodhouses hillfort, Scout Rock, Snidley Moor Wood, The Ridgeway, Alvanley, Alvanley Cliff, Austerson Old Hall, Yarrangall Green, Simmonds Hill, the Ravelstone, New Pale Road, New Pale, Manley, Manley Common, Mouldsworth, The Goshawk pub, Delamere, Delamere Forest Park, Grey’s Gate, Go Ape!, Delamere Forest Visitor Centre, Barnesbridge Gates car park, ‘Switchback Road’, Fox Howl, Hatchmere, Blakemere, Pale Heights, Grey’s Gate, Eddisbury Lodge, Eddisbury hillfort, Eddisbury, Eddisbury Hill, Old Pale, Nettleford Wood, Hangingstone Hill, King’s Chair, Gresty’s Waste car park, Kelsall, Watling Street, the Yeld, Kelsall Hill, Organsdale, Walley’s Gate, Primrosehill Wood, King’s Gate, Roughlow Farm, Urchin’s Kitchen, Dogfall, Whistlebitch Well, Boothsdale, Boot Inn, Chapel Lane, Kelsborrow Castle, Summertrees tearoom, Pearl Hole, Sandy Lane, Rock Farm, Rock Lane, Willington, Wiilington Hall, Willington Corner, Utkinton, Old Gypsy Lane, Wood Lane, Fishers Green, Gullet Lane, Ash Hill, Back Lanes, Iddenshall Hall, Iddenshall Rough, Tarporley, Rising Sun Tarporley, Swan Inn Tarporley, Ferney Lees, Tiverton, Hulgrave Hall, Brassey Green, Beeston, Beeston Gap, Whartons Mill, Whartons Lock, Shropshire Union Canal, Shady Oak pub, Beeston Brook, River Gowy, Pudding Lane, Crib Lane, Beeston Crag, Beeston Castle, Beeston Iron Age hillfort, Beeston caves, Beeston well, Beeston treasure, Beeston village, Beeston Brook, Peckforton Castle, Peckforton, Peckforton elephant, Peckforton Oak, Peckforton hills, Stanner nab, Peckforton Cyclone, Horsley Bath, Horsley Lane, Cheshire Ice Cream Farm, Higher Burwardsley, Pheasant Inn, Candle Factory, Peckforton Gap, Bulkeley Hill, Name Rock, Coppermines Lane, Bickerton Poacher pub, Droppingstone, Droppingstone Well, Queen’s Parlour cave, Rawhead, Bloody Bones caves, Musket Hole, Tower Wood, Bickerton, Walesmonsway, Gallantry Bank, Bickerton church, Mad Allen’s Hole, Pool Dale, Brown Knowl, Fullers Moor, Larkton Hill, Maiden Castle, Cuckoo Rock, Hether Wood, Larkton Hall farm, Duckington, Hampton Green, Robber Hill, Nomansheath, No Mans Heath, Hampton, Hampton Post, Barhill Fall, Bickley Brook, Bickley, Bickley Wood, old St Chad’s chapel, Bluebell Inn, Bell o’ th’ Hill, Tushingham, Pearl Farm, Willeymoor, Willeymoor Lock, Willeymoor Lock Tavern, Tushingham Hall, Land of Canaan, Jackson’s Bridge, Grindley Brook, Llangollen canal, Whitchurch arm, Chemistry, Sherrymillhill, Jubilee Park, Whitchurch. 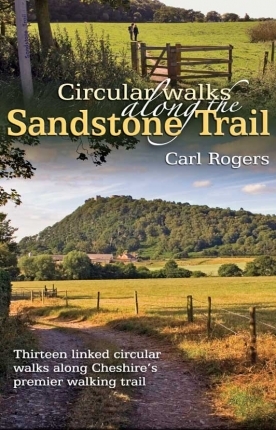 To learn more about the route of the Sandstone Trail and places along the way, as well as fascinating details, illustrated histories, old photographs, anecdotes and stories, buy the official Sandstone Trail guide: Walking Cheshire’s Sandstone Trail.